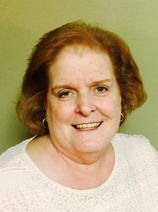 Connie provides services for individuals and families. She works with all ages of children adolescents, adults, and geriatrics. Connie has focused her training in family parenting and trauma-focused counseling. She renders services with all age ranges of Asperger's disorders and DDSD individuals with mental or physical disorders and DDSD individuals with mental or phyisical disabilities. Also, counseling is provided for Veteran's with post-traumatic stress syndromeor other recongnized mental health stressors related to their experience. She works with parents desiring DHS reunification for families and children affected by abuse, neglect, or addictions. Counseling is also availble for the baby-boomer generation seeking their health choices and adjustments to life's ever changing phases to included cancer, or end of life concerns. She encourages each patient to find healthy and positive ways to decrease their anxiety, depression or stress, and move forward towards a motivated and productive life. Connie is a 1993 graduate from the University of Oklahoma with a Master's in Human Relation Counseling. Cindy has a Bachelors of Arts in Psychology from the University of Central Oklahoma (UCO). She also earned her Masters of Science in Marriage and Family Therapy, from Oklahoma Baptist University (OBU). Cindy is a Licensed Marriage and Family Therapist (LMFT) through state of Oklahoma as well as a Supervisor. 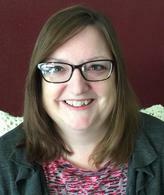 Cindy is certified in Parent Child Interaction therapy (PCIT) and Trauma Focused Cognitive Behavioral Therapy (TF-CBT). Cindy believes that it is important to work with individual family systems to increase understanding, promote development of more harmonious relationships and strengthen families. She wants to be in instrument of healing and teaching. A quote attributed to John F Kennedy “a rising tide lifts all boats” inspires her philosophy that lifting and supporting a single family member contributes to the strength and well being of the entire family system. Cindy currently works with families who have experienced trauma and subsequently suffer from depression, anxiety, self-harm, post-traumatic stress disorder and other childhood disorders. Cindy has co-developed a program to help teen girls with trauma and self harm. She has also helped parents to develop more positive interactions with their children. Cindy has experience working with families and individuals. She is able to provide family, individual, and group services. She works with all ages and cultural backgrounds. Elizabeth is a graduate of Hardin-Simmons University, Abilene Texas, with a Masters of Arts degree in Family Psychology. She earned her Bachelor of Arts degree at Buena Vista University, Storm Lake Iowa, in Human Services and Psychology. She is a Licensed Professional Counselor, LPC, in Oklahoma. Elizabeth's goal in therapy is to empower the client to gain insight into the difficulties they face to help them understand their struggles and develop a plan to make changes in the areas they need. This means taking into account many variables like family dynamics to recognize how they impact perceptions and effectiveness of change. Her approach is ecclectic, meaning she uses multiple therapeutic models based on the specific needs of the client. Elizabeth has worked much of her adult life with teenage girls. She co-developed a program to help teen girls with self-harm and trauma. She has experience working with families and individuals. She works with all ages and cultural backgrounds.